Will they discover a "general factor" for dog intelligence? Anyone want to make a prediction? See also here. NYTimes: ... Dr. Hare, now an associate professor at Duke, has continued to probe the canine mind, but his research has been constrained by the number of dogs he can study. Now he hopes to expand his research geometrically — with the help of dog owners around the world. He is the chief scientific officer of a new company called Dognition, which produces a Web site where people can test their dog’s cognition, learn about their pets and, Dr. Hare hopes, supply him and his colleagues with scientific data on tens of thousands of dogs. “Because it’s big data, we can ask questions that nobody could have a chance to look at,” he said. From his previous research, Dr. Hare has argued that dogs evolved their extraordinary social intelligence once their ancestors began lingering around early human settlements. As he and his wife, Vanessa Woods, explain in their new book, “The Genius of Dogs,” natural selection favored the dogs that did a better job of figuring out the intentions of humans. To explore dog cognition further, he set up the Duke Canine Cognition Center in 2009. He and his colleagues built a network of 1,000 dog owners willing to bring in their pets for tests. ... He is trying to find the “cognitive style” of the successful service dogs. To do so, he and his colleagues have developed a battery of 30 tests that altogether take four hours to administer. They have tested 200 dogs and are searching for hallmarks that set the service dogs apart. 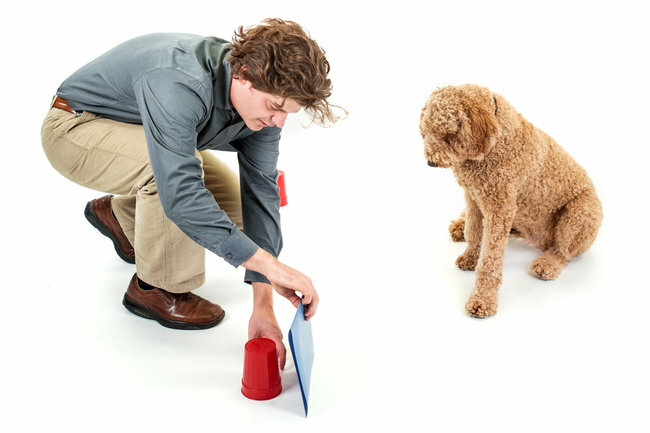 He helped form Dognition, he said, partly because of interest from dog trainers who asked him if they could test their own dogs’ cognitive style. The tests are now available online: For a fee, dog owners get video instructions for how to carry them out. (Besides the pointing test, they include a test in which the owner yawns and then watches to see if the dog does too — a potential sign that dog and owner are strongly bonded.) The company then analyzes how a given dog compares with others in its database for qualities like empathy and memory. ... A surprising link turned up between empathy in dogs and deception. The dogs that are most bonded to their owners turn out to be most likely to observe their owner in order to steal food. “I would not have thought to test for that relationship at Duke, but with Dognition we can see it,” said Dr. Hare. Thanks a lot Hsu. Two years ago I got my first dog in 40 years. I swore I would never get another one as severing the connection is just too painful. Yet the connection is now reestablished and I am smitten. So I will hand over my $100 to Dr. Hare of the dog that smit me to see what this is all about. Another dog lover and his money that is soon parted. An aside-it’s curious that in films one can see many people slaughtered with assorted weapons and not give it a second thought. But show just one scene of a human shooting (and killing) a dog and you will find legions of upset people complaining loudly. At the end of films in which animals have a role one can usually see this disclaimer-“No animals were harmed in the filming of this production”. We won’t mention the stuntmen who were paralyzed…..
did a better job of figuring out the intentions of humans...“If you compare them to wolves as individuals, they look like idiots,”"
And so the absurdity of g is exposed. But Steve is too near sighted to see it. Here the author equates "social intelligence" not with dog-dog inter-dog intelligence but with dog-human inter dog person human person intelligence. Might the batteries of IQ tests do the same? Well yes, they do. Those cognitive tests which are outside the bunch of well correlated tests are excluded from the battery. So dogs are more apt at parroting and blindly following humans. I wouldnt call it exactly "intelligence"